The Addams Family first appeared in 1938 as a single-panel cartoon in The New Yorker. Over 100 more cartoons appeared in The New Yorker and other publications until creator Charles Addams’ death in 1988. The cartoons focused primarily on the glamorous matriarch, Morticia, and her husband, Gomez, and featured their children, Wednesday and Pugsley, as well as Uncle Fester, Grandma and their butler, Lurch. What distinguished the family was their love of the macabre. 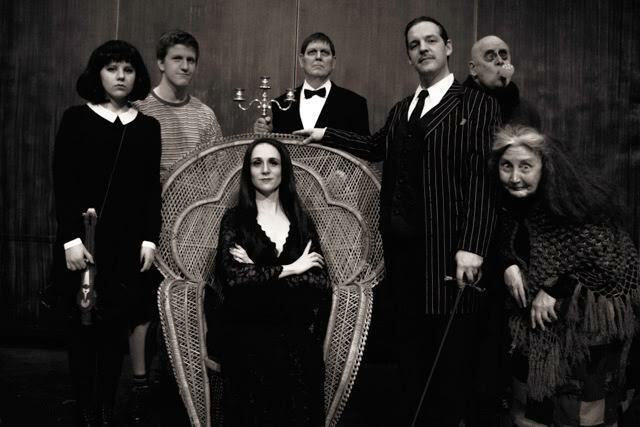 In 1964, The Addams Family was developed into a live-action television series for ABC, shot in black and white. Caroline Thompson and Larry Wilson wrote a feature-length film in 1991 that featured Angelica Huston as Morticia, Raúl Juliá as Gomez and Christopher Lloyd as Uncle Fester. Composer and lyricist Andrew Lippa began developing a musical inspired by The Addams Family in 2007. 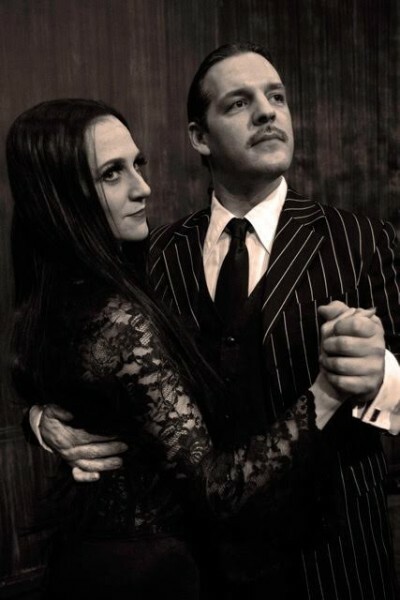 It premiered on Broadway in 2010, starring Bebe Neuwirth as Morticia and Nathan Lane as Gomez. 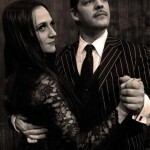 The plot of the musical centers on Wednesday, who has just turned 18 and has fallen in love with a “normal” young man. The ensemble is comprised of ghosts of the Addams Family’s ancestors, who are banned from returning to their crypt unless they help Wednesday and her new boyfriend. 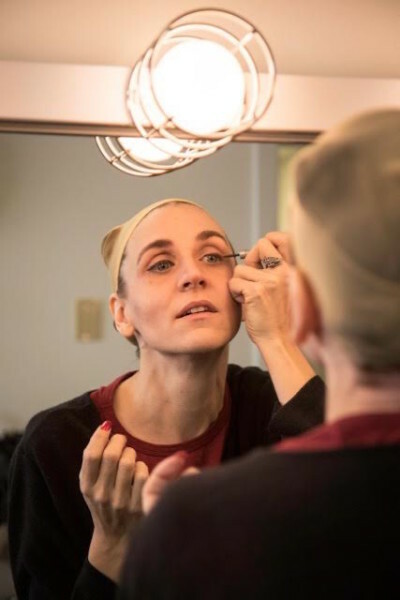 When the rights became available for non-professional performance, Lani Brockman, the Founding Artistic Director of Studio East in Kirkland, secured them for her students. She directed the musical at Studio East in March of this year. Starting with one theater program for teens in 1992, Studio East has become one of the largest children’s theater training programs in the Seattle area. Today, between the Studio’s camps and classes and its professional, adult touring arm, StoryBook Theater, Studio East serves over 70,000 people annually. Brockman said she was drawn to the dark, silly humor of the musical. When she was younger, she enjoyed the television series, particularly Cousin It and Morticia’s dry sense of humor. Finding a passion for storytelling at an early age, Brockman wrote, directed and acted in fractured versions of fairy tales, inviting neighbors to be the audience. Her talents blossomed into a life-long passion for training youth actors, which inspired her to found Studio East. No stranger to Whidbey Island, Brockman has directed four shows at Whidbey Children’s Theater over the last 10 years: two productions of “Quilters,” “I Never Saw Another Butterfly” and “Last Exit.” She was presented with the opportunity to direct “The Addams Family” again this December at Whidbey Island Center for the Arts. 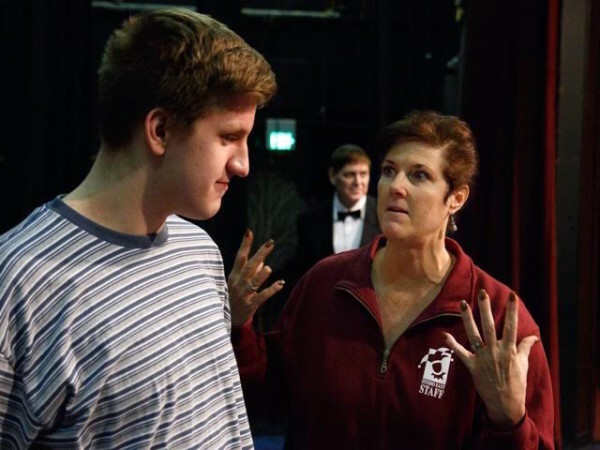 Some of her students who played leading roles in the Studio East production have joined the cast of the Whidbey Island Center for the Arts production. The young actors often carpool with Brockman, running lines and singing music from the show in her car. 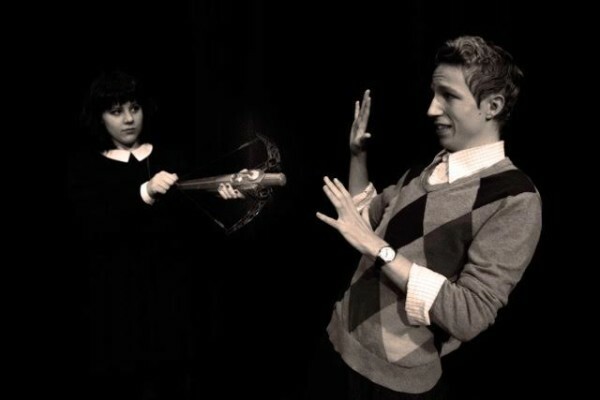 Erica Major, who played Grandma at Studio East, portrays Wednesday Addams in this production. She has worked with Brockman for three years. Brockman is excited to share this show with Whidbey audiences. She believes that audiences will delight in the fun, feel-good nature of the musical. Learn more about Studio East here: http://studio-east.org/.